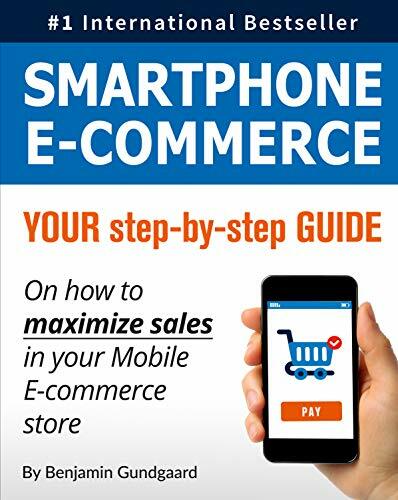 Best Seller Publishing announces the release of Benjamin Gundgaard’s new book, “Smartphone E-commerce: Your step-by-step guide on how to maximize sales in your mobile e-commerce store.” It will be available for 0.99c in the Amazon Kindle Store on November 5th. “Smartphone E-Commerce” by Benjamin Gundgaard will be free and available for 0.99c on Amazon for 5 days (11/05/2018 – 11/09/2018) at: https://www.amazon.com/dp/B079X5425V. “At Coop we have worked very closely together with Benjamin Gundgaard in recent years, based on his previous book “Sell more online”, which increased our conversion rate by 50%. Due to this, I had high expectations when I started reading Benjamin’s new methodology on mobile e-commerce. The new methodology turned out to be very well structured around all the best-practice elements of how to build a mobile e-commerce web shop. Each chapter begins with insights from user tests of some of the world’s largest mobile web shops, followed by best-practice guidelines as well as implementation-ready templates.” – Luke A. “I have been following Benjamin for a long time and find him extremely inspiring. I have also had the pleasure of seeing him live at several conferences and seminars. The book is a perfect reference tool and tool for the ambitious E-commerce Manager, who works or wants to work with mobile e-commerce. And can you really work with e-commerce without saying mobile? Benjamin Gundgaard is the founder and owner of CustomerSense, an independent, high-end e-commerce consultancy that helps companies sell more online. In addition to building and optimizing e-commerce solutions, he is also a renowned international keynote speaker with more than 15 years of experience. He has helped companies such as TUI, GE, Momondo, Deloitte, and Coop increase their conversion from 15% to 300%!